We are well and truly on our way to the iPad rumor nirvana that is early-January, with some new claims by the notoriously hit and miss DigiTimes suggesting that the new iPad 3 could be with us in the next 3 to 4 months. Citing supply chain sources, DigiTimes, reports that while iPad 2 manufacturing is set to slow, new parts for an iPad 3 will see mass production ramp up over the coming months, with early-2012 set to be the time Apple’s manufacturing plants go into full swing. 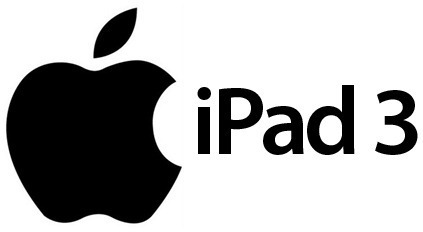 The news that Apple’s suppliers are slowing production of iPad 2 parts is probably a good sign that Apple expects to sell fewer units than usual, which would point to a new device being made available. Those of us who follow Apple’s calendar will know that a release in the March/April/May timeframe is entirely possible. In fact, we would be willing to put our questionable reputation on the line to say that it is almost guaranteed. With that in mind, what DigiTimes is telling us does tessellate rather well. 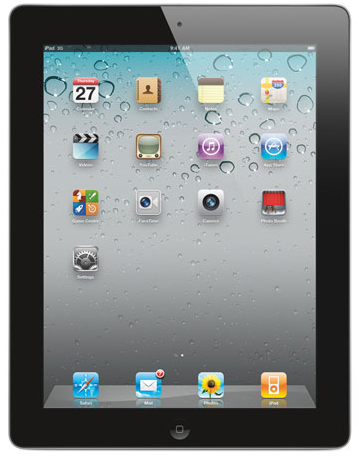 Apple’s upcoming iPad 3 is expected to sport an all-new screen design, bringing the Retina Display to the 9.7-inch screen of the tablet. Doing so would make it the highest resolution tablet on the market, though the worry is that the company would also need to increase the price to cover that expensive display panel. Other improvements that are expected include the usual increase in horsepower and a new industrial design, though we are not entirely sure how Apple could really make an iPad thinner than the current iPad 2. Not without breaking the laws of physics, anyway. We’re sure to be seeing more and more rumors pop up over the coming weeks and months, until Apple finally announces whatever it has up its sleeve. It is also possible that Apple will simply do a speed bump refresh, similar to the iPhone 4S, though the rumors of a Retina Display just will not go away.